We are rapidly approaching the final stages of a hotly-contested election campaign which launched at the end of March, when Labour and the Conservatives debuted their election broadcasts. With the race too close to call, we undertook a study to compare these broadcasts, using unique brain imaging technology to measure people’s subconscious reactions to them. Our study examined Labour’s high profile ad starring Martin Freeman, and a more low key Conservative ad which showed a series of different UK families sharing their hopes for their children, ending with David Cameron talking about his hopes for his kids/all kids. The findings provide a valuable insight into how the ads impacted viewers on an emotional and rational level, as well as the overall effectiveness of each ad. Our approach centred on the use of brain imaging techniques to explore the second-by-second neurological impact of election advertising by the two main political parties on 109 voters aged 18- to 65-year-olds. The study was combined with an exercise that tracked subconscious associations with each party’s logos, carried out before and after the films were viewed, in order to measure their impact. Our findings show that while neither party seems to have created a perfect ad, both feature important ‘hits’ and ‘misses’, that underline the crucial balance of an effective campaign, and show how easy it can be to undermine key messaging. 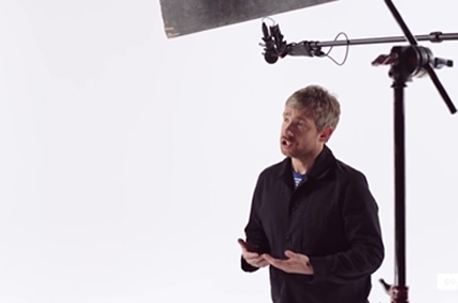 Martin Freeman proved a hit for Labour whose ad attracted double the number of YouTube views of the Conservatives’broadcast ( 270,000 vs 130,000 ). Our research indicated that Freeman’s ‘regular man’image and a simple to-camera address combined to keep viewers consistently engaged and emotionally involved. However, Miliband’s absence – he neither featured nor is mentioned in the ad – played badly with viewers. Labour’s association with ‘leadership’ was much lower after the Labour ad was viewed, than it was before. Annoyingly for Labour, its ad actually resulted in a stronger perception of the Conservatives and ‘leadership’. Famous faces aside, the two parties approach their ads with contrasting messaging strategies. Labour’s ad features Freeman comparing Labour and Conservative approaches to the economy, zero hour contracts and the NHS. The ad makes direct attacks on the Conservatives with comments such as “the Tories have got sod all to offer the young”. Our research showed that these attack moments registered a negative ‘withdrawal’ response in viewers’ brains, suggesting that negative campaigning is a real turn-off for audiences. However, the post-viewing analysis of Labour’s ad did see an improved association between the party and ‘economy’, while also weakening the link between the Conservatives and ‘economy’ – suggesting that the attacking style did impact viewers’ perceptions. The Conservatives’ inclusive, family-oriented approach – with no mention of any other political party – suggests a less risky strategy and resulted in fewer negative responses from participants. However – bar the Camerons’appearance – engagement levels were lower and the ad was less well-liked on the whole than Labour’s. Post-viewing analysis for the Conservatives’ ad bore this out. While the ad improved perceptions of the Conservatives and ‘leadership’, it did little overall to land key Conservative messages like ‘opportunity’, and had no significant impact on audience perceptions of Labour. Do our findings suggest a template for political advertising to come? Not quite. Instead, they point to the fact that there are numerous details within these ads that can resonate with viewers – for better or for worse. Production plays a role in overall ad effectiveness . Done badly, it can lay hours of script-writing and messaging to waste. 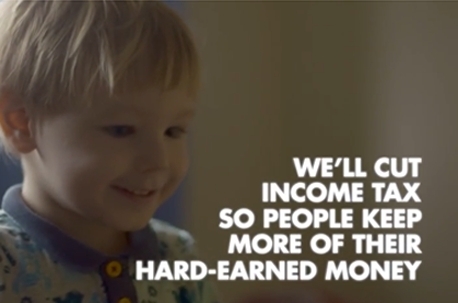 Both the Labour and Conservative ads contained production ‘misses’. In the Labour ad, a red screen that appeared after Freeman’s speech wrongly signalled to viewers’ brains that the broadcast was over, leading to viewers mentally switching off just as the all-important ‘Vote Labour’ call to action kicked in. Meanwhile key Conservative pledges around the economy, education, the NHS appeared as on-screen text, alongside clips of different UK families instead of being voiced over. Our second-by-second research showed that these messages weren’t being strongly encoded into memory, suggesting the scenes overall were having a weak impact on viewers. In a few days’ time the election results will be known and it will be time for the election post-mortem to begin. This study suggests that a detailed autopsy of the two main parties’set-piece political broadcasts could be a good place to start.